The orgonite massage wands are meant for massaging the body. Let your body share the benefits of the medicinal nobles and the protection that orgone offers to radiation from outside. Nowadays orgone is used in the form of gemstones containing metals that strengthen the operation, namely the generating of positive life energy/orgone. It’s made of casting resin, aluminum, copper filings, crystals and metal wire. Orgonite is processed in various forms from jewelry to pyramids. In contrast to the yin-yang philosophy where they believe in dualism (balance between positive and negative energy), orgonite-users believe that energy is transformable. This perspective gives us the chance to purify our environment from negative stimuli by transforming this energy into a salutary power. For a beneficial effect, check out our collection of the most unique, fragrant massage oils. Balance your etheric energy. Remove your body from sore spots and toxic substances. Do you do spiritual work and do you have trouble grounding? Selenite will suite you. 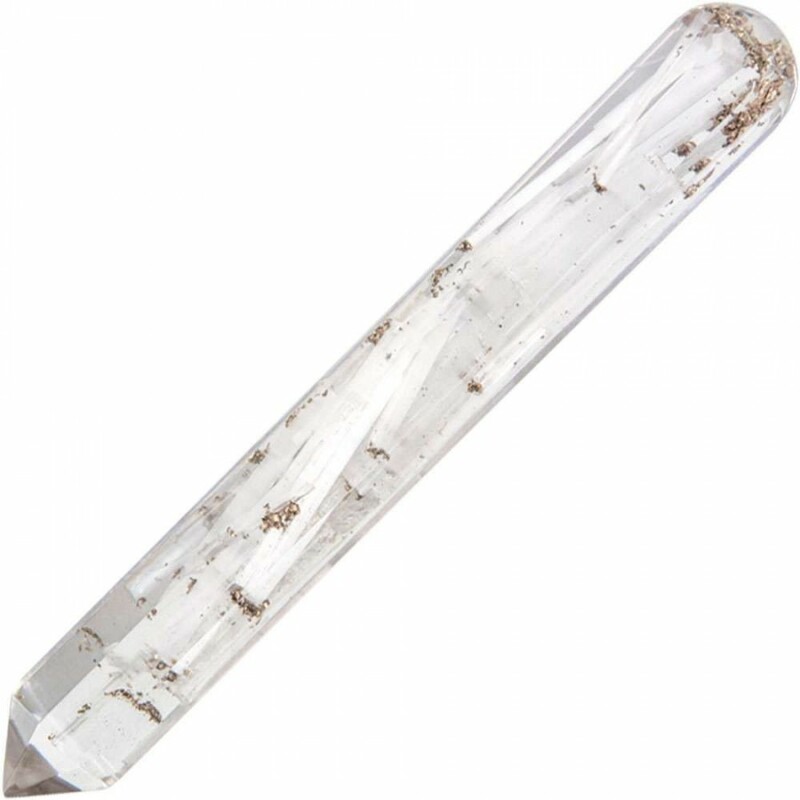 This clear white stone has very high vibration, which facilitates contact with higher spheres and entities. It’s an angel stone with a silky shine. Selenite originated from solar power and carries this in itself. This solar power is passed on to the user and tunes positive and cheerful. This is a commonly used crystal by pregnant women who have to deal with hormone fluctuations.